This is broken beach, also known as Pasih Uug, located just next to Angels Billabong. 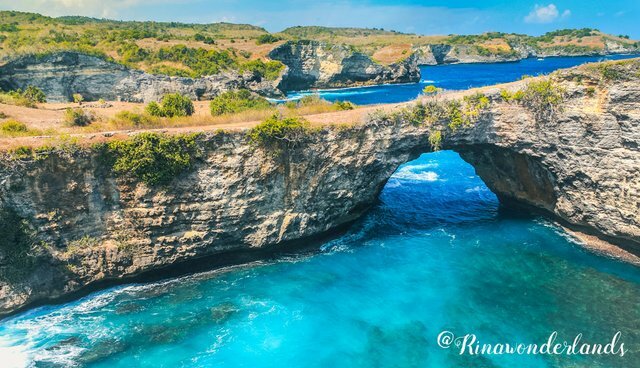 This picturesque beach famous for its arched tunnel in the cliffs, allowing the ocean to flow into a pool. The turquoise color of the sea is mesmerizing, so beautiful and it very contrast with the blue sky. I went there couple years ago when it still quiet and secluded, but now it's quite different as they had built the place for tourism, and many tourists coming everyday to see this view & taking pictures. And have also received a 3.80 percent upvote.